Malaysian youth aged between 21-30 years old. Monthly gross income of RM3,000 or below. The problem I face is after I have successfully registered, I have only one-off opportunity to print out the application confirmation slip. No link or email was given to view back my application status for future perusal. 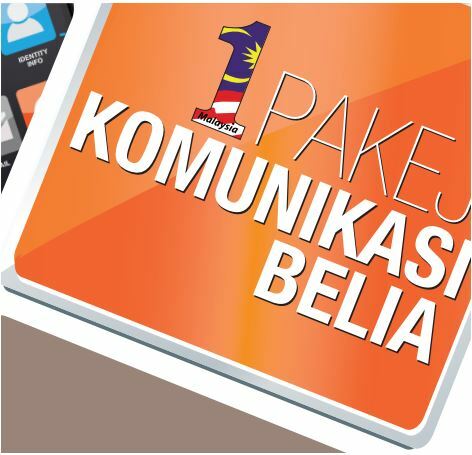 It is very inconvenient for people who are registering Pakej Komunikasa Belia using phone or computer without printer around. My advice is before you going to register, use computer with printer installed. Or take a screenshot of the confirmation slip and note down your slip reference code. You're welcome. Best wishes for you getting a new smartphone. i can't believe that it was possible. really thought had to wait another 4 months before reapplying. thanks.